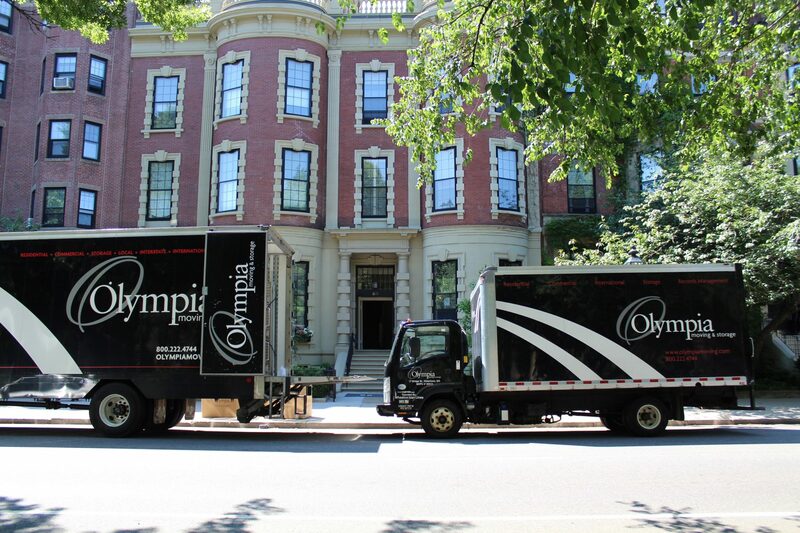 As a Boston moving company, Olympia relocates thousands of families to or from Boston this year. In our “On the Move” series, we take you on the job to see first-hand the homes our crews work in and the variety of services they perform. Moving From: Location, location, location! This beautiful property is right next to the historic Commonwealth Avenue Mall, just a 5-minute walk to the Boston Public Garden. This client needed a full-service move on very tight deadlines. Olympia’s moving consultant, Ida, planned the move to take place over three days. The Olympia team performed a full pack of the home on the first day. The next day our five man crew loaded the belongings into two trucks. One truck was bound for New York City. The other was going back to our local warehouse for long-term storage. Prior to departure, our crew removed all debris and broom-swept the house to ensure it was ready for closing. On the third day Olympia delivered the shipment to New York. The crew was headed by Gabe all three days to ensure continuity. This client had unique, expensive pieces as well as high value artwork and light fixtures. It is routine for Olympia to manage high end items. Olympia worked with our partner who specializes in crating valuable art, chandeliers, and gold leaf frames. The Olympia dedicated moving coordinator also arranged for an electrician partner to properly remove the chandelier from the ceiling. Homes in the historic Beacon Hill neighborhood are the epitome of beautiful Boston architecture, but the area is particularly challenging for a move. This luxury home was a third-floor walk up. Olympia also had to order a few parking permits to ensure they could park right in front of the home on the resident-only street parking on the Commonwealth Avenue Mall. If you are moving to or from the Boston Area, give us a call at 800-222-4244 or fill out our form online for a free moving estimate! This entry was posted by cclark	on Friday, July 20th, 2018 at 4:58 pm and is filed under Boston Moving, On the Move. You can follow any responses to this entry through the RSS 2.0 feed. Both comments and pings are currently closed.